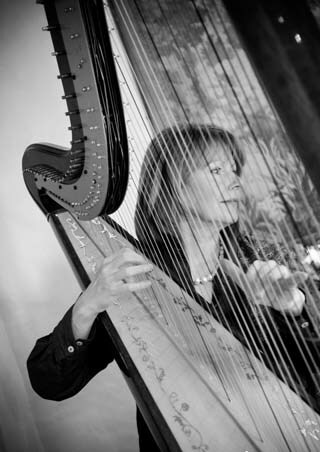 Sally Whitaker is an experienced and well-known harpist in the South of England. She plays mainly in Sussex, both East & West Sussex, Surrey, Hampshire, Kent, Dorset and London. Her wide repertoire will suit all tastes - classical, traditional, medieval, popular and romantic. Sally uses an Italian Salvi Concert harp and a golden Morley Concert Grand as well as a Celtic harp to entrance her audiences.